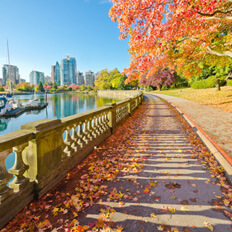 Book escorted tours to the Rockies with Tour & Explore and enjoy the very best tours to this stunning area of Canada. Escorted tours to the Canadian Rockies can be taken by either rail, coach tour or a combination of both. Tours of the Rockies give you the opportunity to explore this incredible region of North America which is breathtakingly beautiful and guarantees some fabulous highlights. Your Canadian Rockies tour will be filled with amazing scenery from lakes & mountains to rivers & icefields and national parks where there are glimpses of the local wildlife which include Elk, Moose, Deer, Bighorn Sheep, Mountain Goats and more. 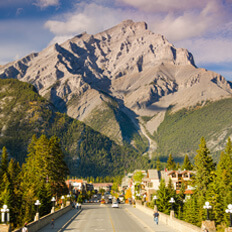 It's not just about the breathtaking scenery on your tour of the Rockies, there are towns and cities which offer much including Banff, Jasper, Calgary, Golden and other great destinations along the way. We offer a number of great coach tours taking in the best The Rockies and Canada has to offer so browse on for offers and more information or use the search form below to see what Rockies tours are available at this time. There are numerous highlights on coach tours of the rockies and it is difficult to know where to start but we've have listed a few of our favourites below. 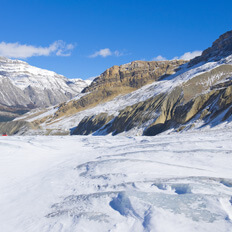 Travel along the Icefields Parkway and take a ride in a an Ice Explorer onto the Athabasca Glacier. Visit Lake Louise and stroll around and take photos of the magical Victoria Glacier. 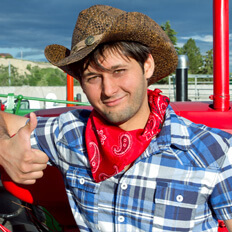 Calgary Stampede Rodeo which offers days of western fun. 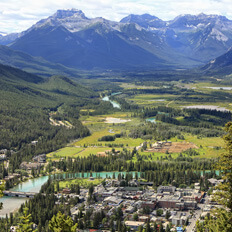 Sightseeing and shopping in Banff is a must in this charming small town. Visit the spectacular Emerald Lake, named for the vibrant green colour of its water. 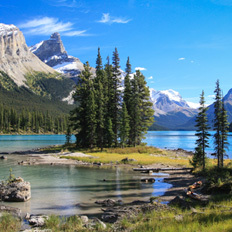 Jasper National Park - take a walk or cruise the pristine Maligne Lake. The Canadian Rockies comprise the Canadian part of the North American Rocky Mountains range. They stretch from Alberta and British Columbia to the borders with Idaho and Montana in the USA. 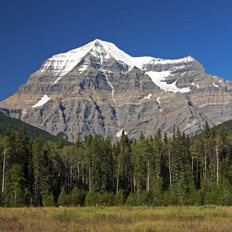 The highest mountain in the range is the majestic Mount Robson which towers nearly 13000 feet high. It is closely followed by Mount Columbia with plenty of other impressive snow capped peaks across the region. 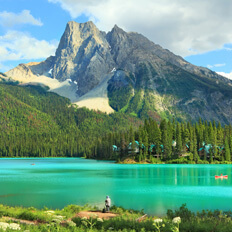 There are 5 national parks in the Canadian Rockies which together are a World Heritage Site and offer much to see and do for travellers including ice blue glaciers, surging rivers and pounding waterfalls. Our tours to The Rockies range from 8 to 18 day tours and can include visits to Alaska, Vancouver and other exciting destinations. Most of our escorted tours to the Rockies include your flights & accommodation. 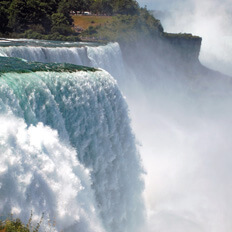 All tours have good quality hotels chosen for your comfort after a day of awe inspiring sightseeing. There are likely to be plenty of optional excursions which can add to your Rockies experience but the choice is yours. If you are thinking about taking an escorted tour of The Rockies use the link above to find our latest tour offers.